The Passage (Russian name Passazh) is a venerable, historical, élite department store on the equally-venerable and historic Nevskiy Prospekt in St. Petersburg. It opened its doors on 9 May 1848, and took its name from the wide passage between Nevskiy Prospekt and Italyanskaya Street. This gallery formed the main passage through the department store, and was covered by an arched steel and glass roof. 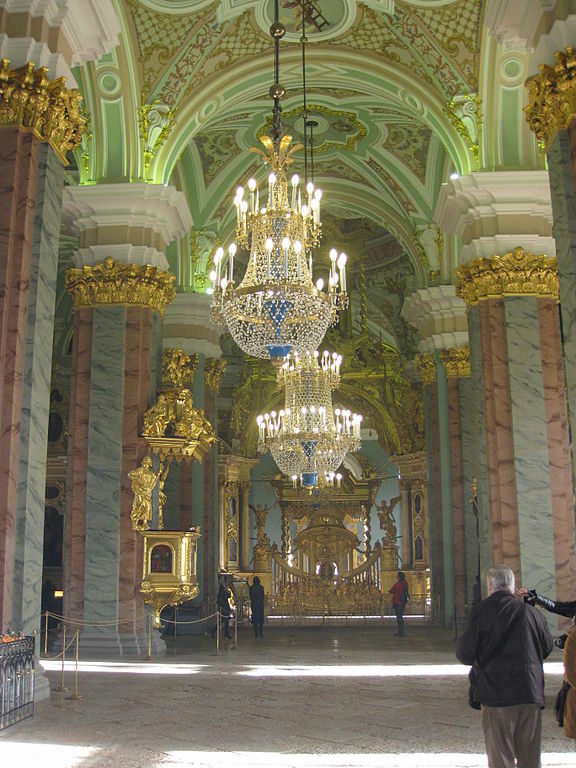 The three-story building was one of Russia’s first to use gas lighting. They also had an underground floor, which had electricity installed in 1900. The Passage initially specialised in luxury goods, expensive clothes, and jewelry, but the common people came as well, excited to see this innovative, new, fashionable department store. In response, an entrance fee of 50 kopeks was instituted in order to limit who could go inside. Soon, The Passage grew to include a wax museum, coffeehouses, restaurants, confectionaries, a small zoo, an anatomical museum, a concert hall, and panoramas. 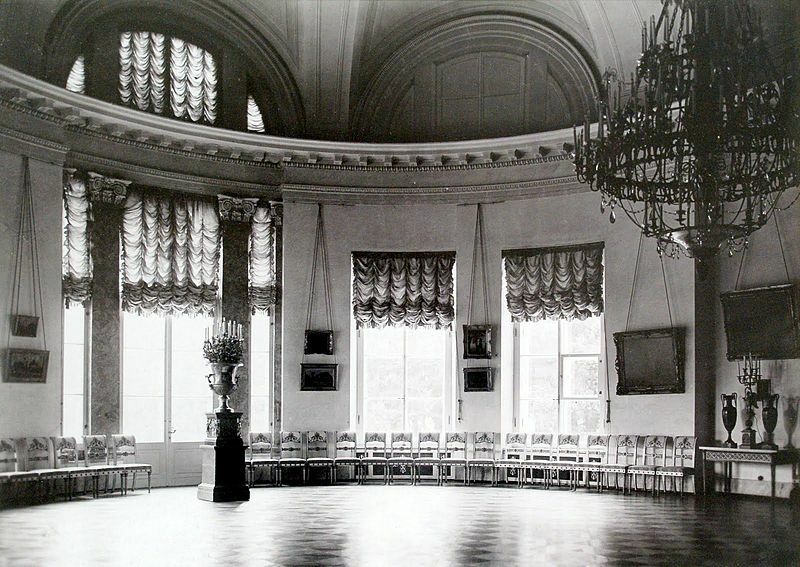 The concert hall became a popular site for literary readings and lectures, with venerable attendees including Ivan Sergeyevich Turgenev, Fyodor Mikhaylovich Dostoyevskiy, and Taras Hryhorovych Shevchenko. In 1900, a fourth story was added, as part of the revamping which followed a devastating fire in 1898. The concert hall was also transformed into a theatre. In 1908, Soleille, one of St. Petersburg’s largest cinemas, was added. Following the cataclysm of the Revolution and Civil War, The Passage was turned into a supermarket. In 1933, it reverted to a department store. The Children’s World section was particularly popular. The store closed again during the brutal Siege of Leningrad, but the employees bravely chose to remain. 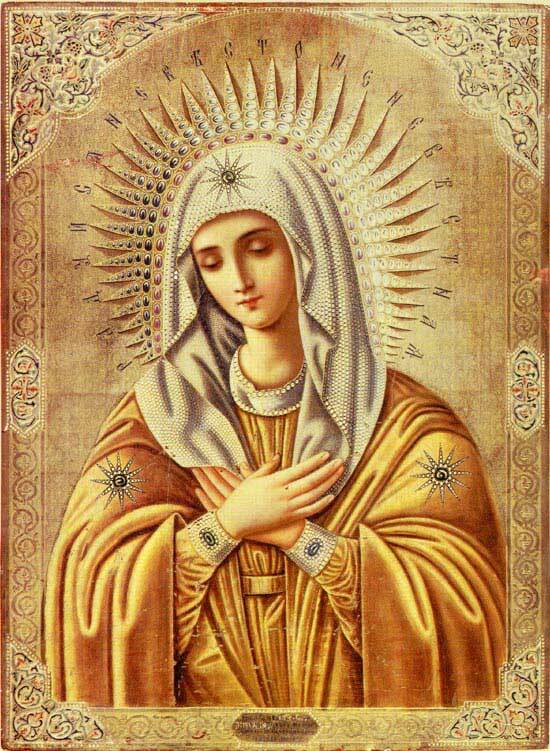 Miraculously, The Passage took precious little damage in spite of the glass roof being extensively bombed. In 1947, it was renovated and reopened. Since 1961, it’s specialised in women’s goods. In my alternative history, the newlywed Imperial couple go to The Passage in December 1929, when the new Tsaritsa, Arkadiya, is inspired to create new Christmas traditions in the Aleksandr Palace and get some updated ornaments and decorations much more to her liking. Everyone is stunned to see Their Majesties mingling with normal people at a department store, and a little girl asks why they’re not wearing crowns if they’re really the Tsar and Tsaritsa. 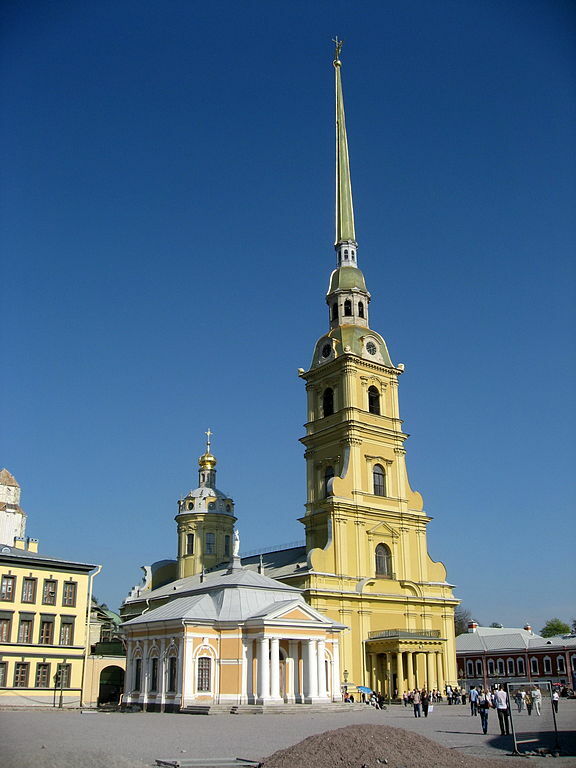 The Peter and Paul Cathedral (Russian name Petropavlovskiy Sobor) is located within the Peter and Paul Fortress in St. Petersburg, and the resting place for all Russia’s rulers starting from Peter the Great. The only rulers not buried there are the unmemorable Peter II and Ivan VI. It’s the city’s oldest and first landmark. In the modern era, the only Imperial burials within its walls have been for Nicholas II, Empress Aleksandra, and their three oldest daughters in 1998, and the reinterment of Nicholas II’s mother, Mariya Fyodorovna (Dagmar of Denmark), in 2006. Shamefully, Anastasiya and Aleksey still haven’t been buried with the rest of their family (or even buried anywhere), so many years since their remains were finally found. 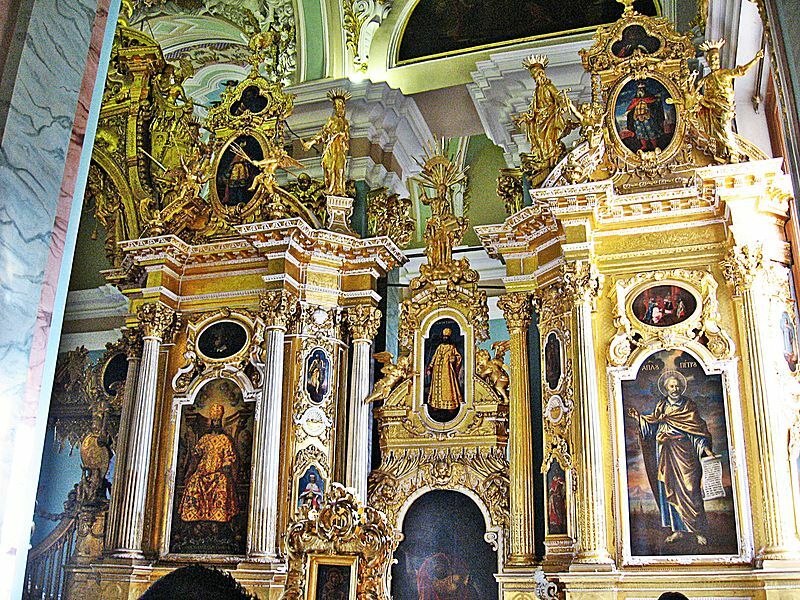 The cathedral is St. Petersburg’s first building made from stone, and was constructed from 1712–33. 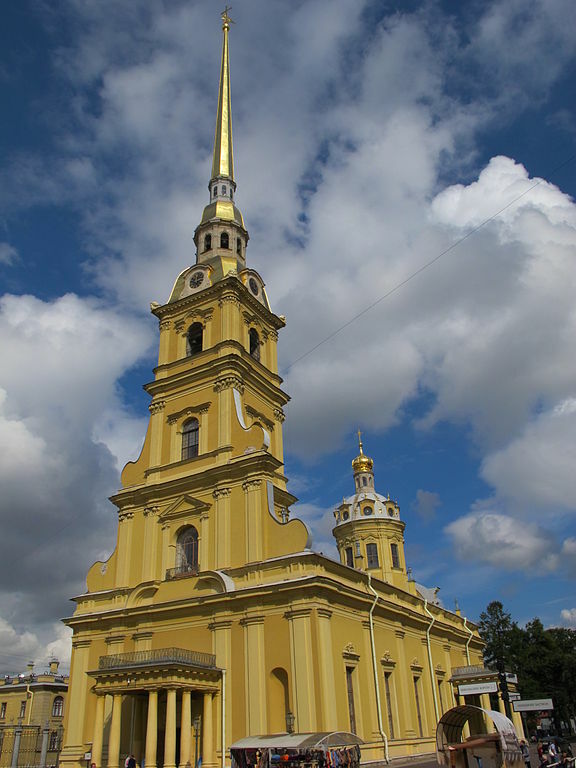 Its famous golden spire is 404 feet (123 metres) high, and ends with an angel holding a cross. This angel is one of the city’s most important symbols. The cathedral was closed in 1919 and turned into a museum in 1924, though has been used for religious services since 2000.